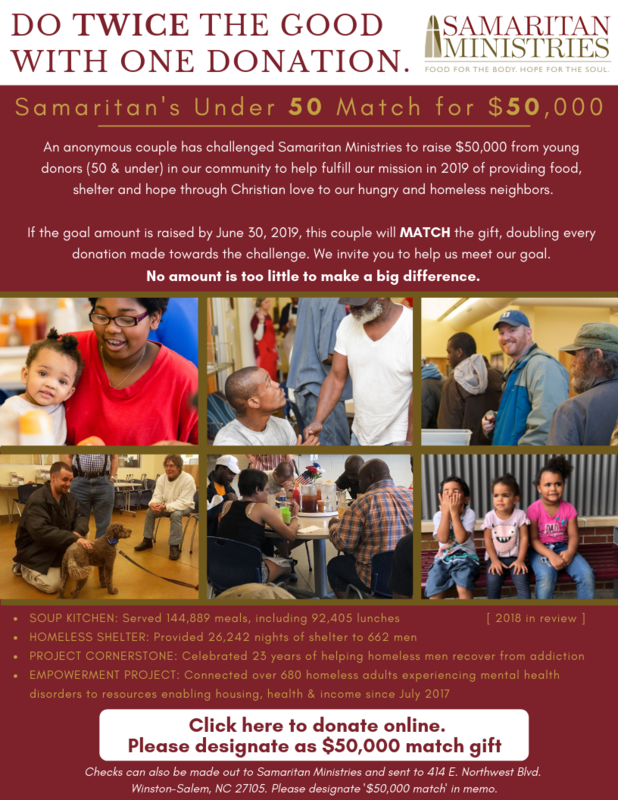 Many companies support Samaritan through their matching gifts program. Check with your company’s human resources department to find out if matching gifts are available. If matching gifts are available, please include the form with your gift to Samaritan. You can also fax the form to: 336-748-8207.